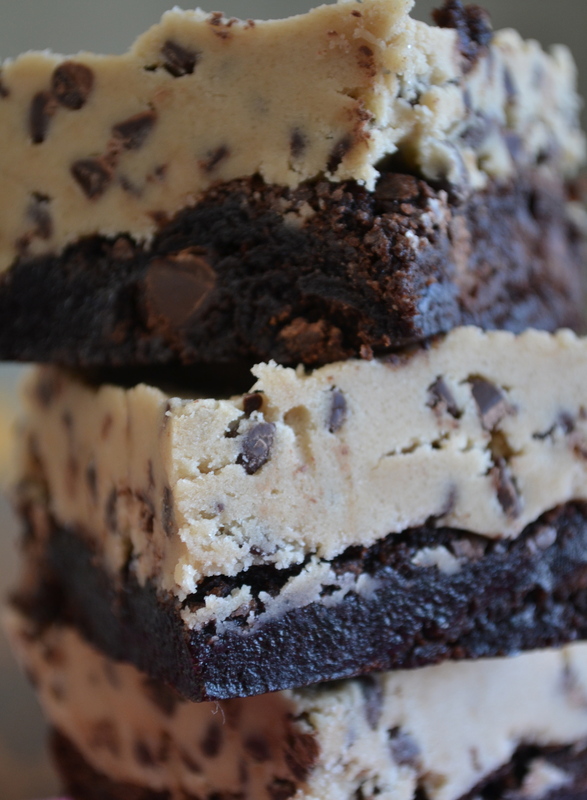 Cookie Dough Brownies | how 'bout some cake? I feel like I owe you an apology. A couple of weeks ago, I made Break-Up Brownies and acted like they were the best thing on the planet. I was wrong. They’re not. 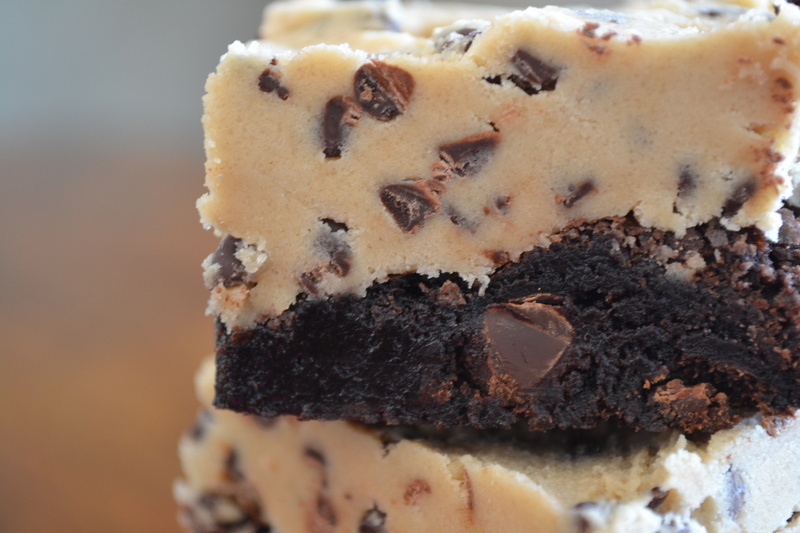 Because these cookie dough brownies are. I mean, woah. According to my friend Ashley, they’re “the best thing [I’ve] ever made”. And while that’s a weighty superlative considering how much I bake, I think these brownies are worthy. Now they’re not as quick and easy as Break-Up Brownies, but every step and ingredient is well worth the time and effort. Just make a box of brownies according to directions on the pan. I used Ghiardelli Dark chocolate. In my opinion, it’s the best the grocery store has to offer. 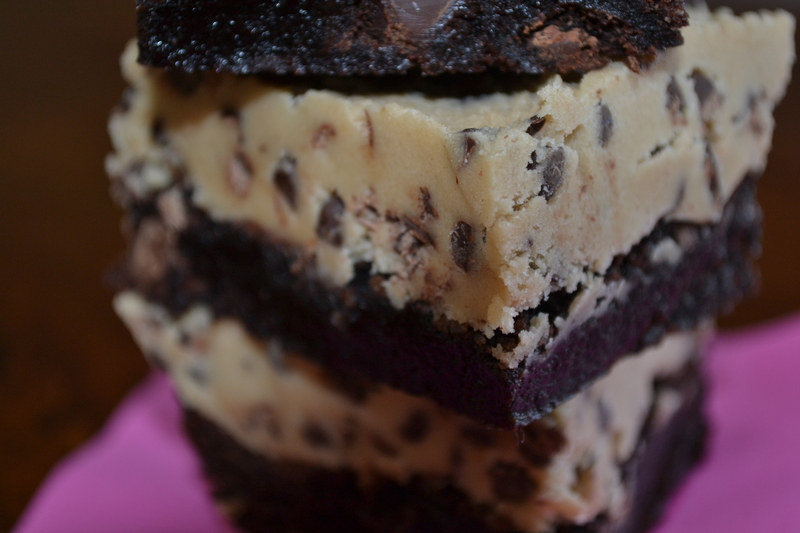 Once your brownies are cool, smear a layer of eggless cookie dough on top. Chill the whole thing for about 30 minutes before cutting. They were so good, I had to give them all away as soon as I snapped the pics!! Otherwise, I’d still be laying in bed in a gluttonous haze (2 days later). Finally made these! You were so right – just wow! These look seriously incredible–I can’t wait to try them out! I promise, they won’t disappoint! They look so good! 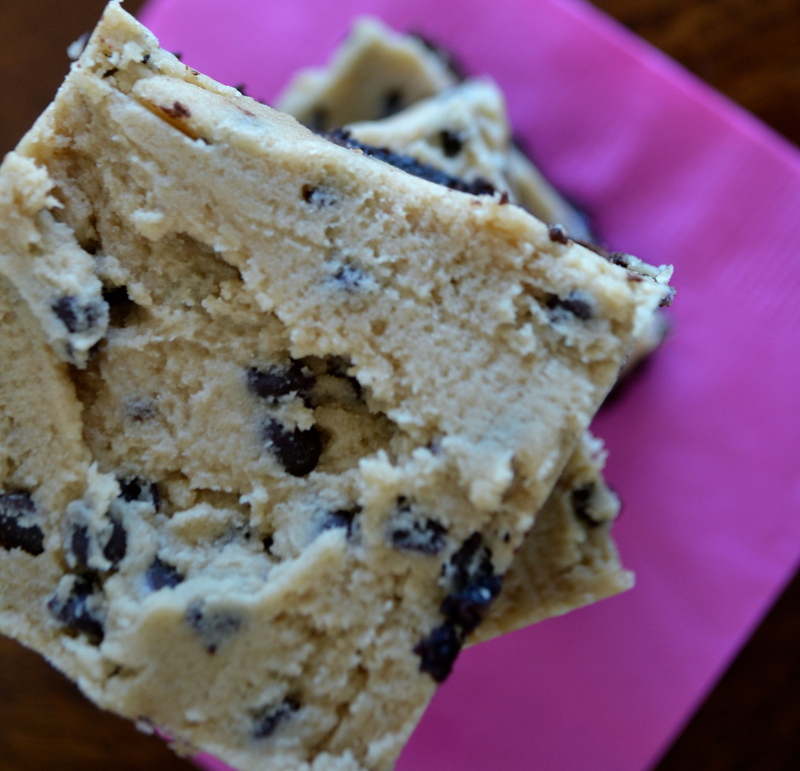 Going to have to make these for my housewarming! Yes! What a perfect occasion! Also the perfect way to “christen” a new kitchen! Haha, I have no idea but the recipe really is divine! !